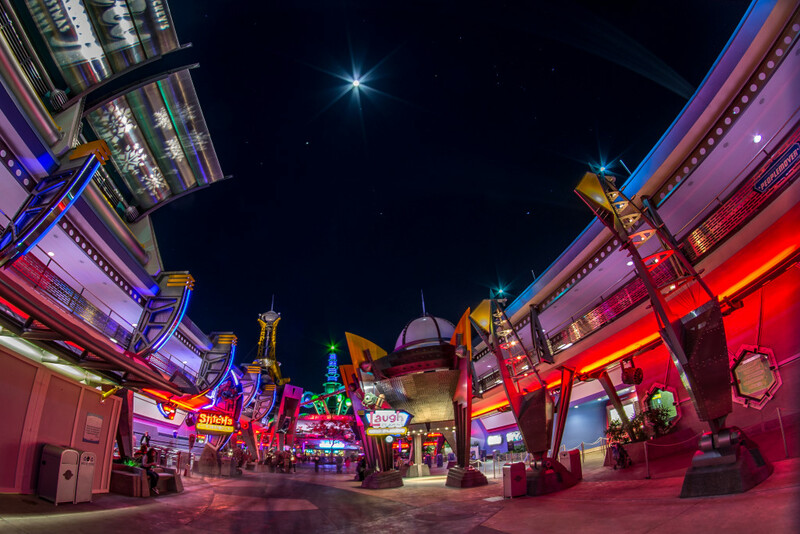 Tomorrowland Area is constantly changing and progressing to keep up with futuristic views. In order to keep this land from looking like it is living in the past, Tomorrowland Area has been subject to many updates and changes, the most recent one completed in 1995 where the entire land was rehabbed to a retro-futuristic “tomorrow that never was.” While its current theming resembles a sci-fi city of the future, it is best enjoyed at night where it transforms itself in the dark and where the neon is glowing bright. Tomorrowland Area is home to two of Disney’s most famous attractions – Space Mountain Attraction where you blast off on a speedy coaster through outer space and the Tomorrowland Transit Authority PeopleMover Attraction, formerly known as the WEDway People Mover to those of us who are long-time visitors. Astro Orbiter Attraction – Climb aboard your very own spaceship and take off into space flying high above Tomorrowland Area on Astro Orbiter. You can control your own rocket ship as the newest member and cadet of Disney’s space fleet. Buzz Lightyear’s Space Ranger Spin Attraction – Help Buzz Lightyear defeat the Evil Emperor Zurg in Buzz Lightyear’s Space Ranger Spin. Evil Emperor Zurg is trying to steal batteries from helpless toys in order to power his new weapon of destruction. Interest: Preschoolers, kids, tweens, teens, and adults. Monster’s Inc. Laugh Floor Attraction– Join “Monster of Ceremonies” Mike Wyzowski and friends for a fun-filled, interactive comedy show as the monsters interact with the audience for a fun-filled comedy show. They’re are after your laughter. 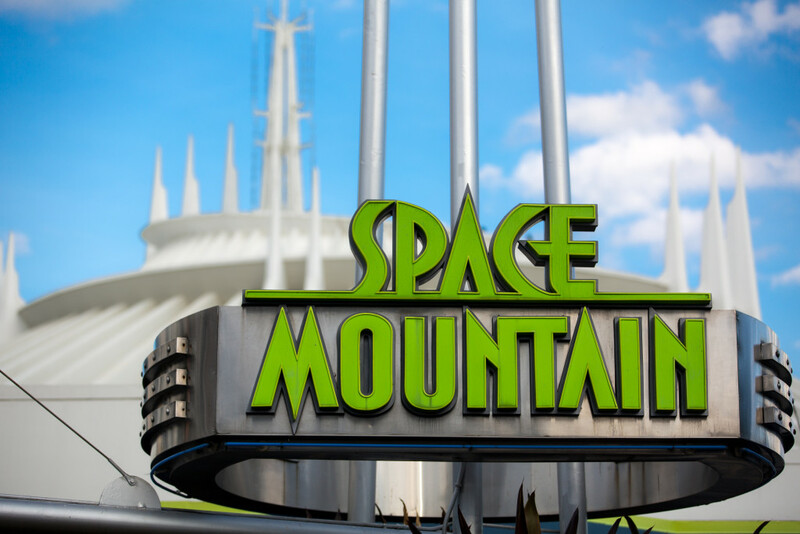 Space Mountain Attractions – Blast off into outer space in a six person rocket that hurdles towards constellations into the blackness of the dark universe with the mysterious sounds of space filling the air. One of Disney’s most beloved coasters, this attraction is out of this world. Stitch’s Great Escape Attraction – Experiment 626 has escaped the Level 3 prisoner teleportation chamber creating mayhem in this multi-sensory experience. It’s dark, but you will know when Stitch gives you an up close and personal visit with his chili-dog breath. Tomorrowland Speedway Attraction – Drivers, Start Your Engines! Put the pedal to the metal around the 2,260 foot long track designed after the Indiana Motor Speedway. The 9 horsepower engines on the cars max out at about 7 mph during this five minute ride. 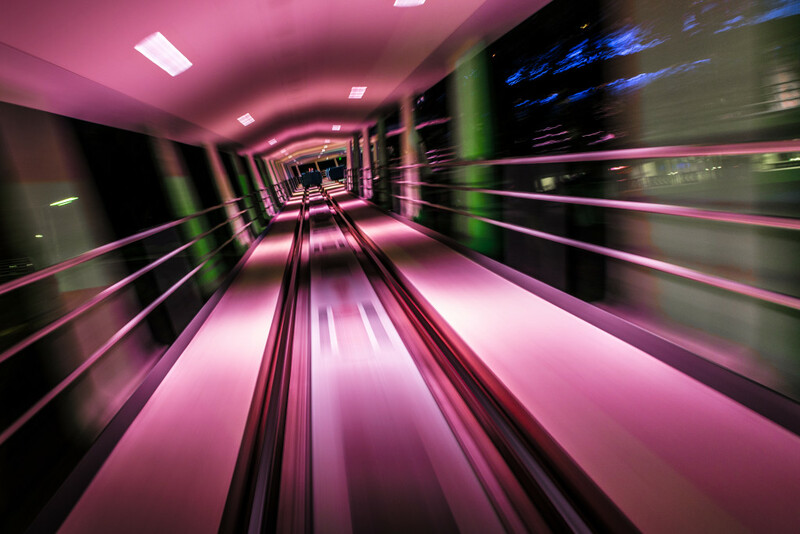 Tomorrowland Transit Authority PeopleMover Attraction – Ascend to the top of Rocket Tower Plaza for a breezy 10-minute narrated tour above Tomorrowland Area on an engine-free, emission-free, magnetically powered tram. Auntie Gravity’s Galactic Goodies – Come back to earth and take in the goodies on Auntie Gravity’s Galactic Goodies menu. Cool Ship – Fuel up with salty pretzels, fountain drinks and bottled water at this space-aged station. Cosmic Ray’s Starlight Station – Offering a galaxy of choices for lunch and dinner such as BBQ ribs, burgers and sandwiches. The Lunching Pad – Out of this world snacks like hotdogs and mickey pretzels at Rocket Tower Plaza. 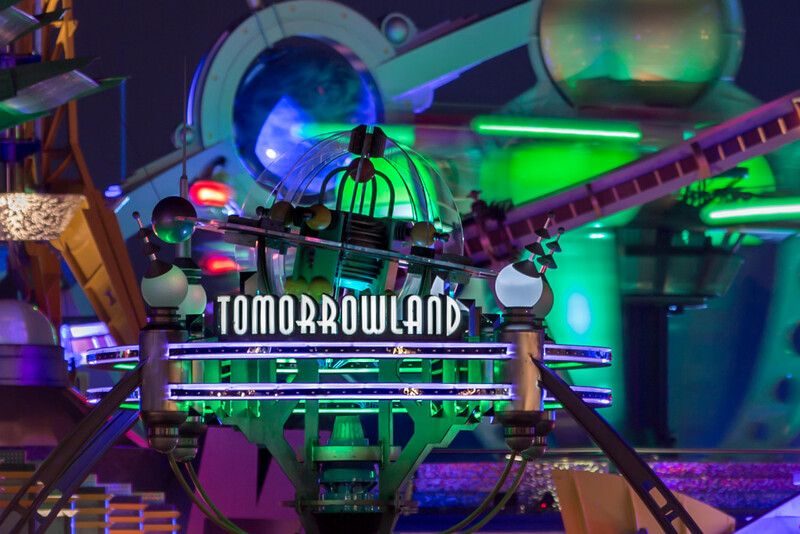 Tomorrowland Terrace – Futuristic foodies find great angus burgers, salads, pasta and more. Offers special seating and dessert reservations for the Wishes fireworks as well. Buzz Lightyear’s Space Ranger Spin Photos – Apparel and accessories, toys and plush. Buzz’s Star Command – Apparel and accessories, Tomorrowland merchandise, Toy Story plush, pins. Merchant of Venus – Apparel and accessories, camera & media necessities, Pins & Vinylmation; Toys & Plush. 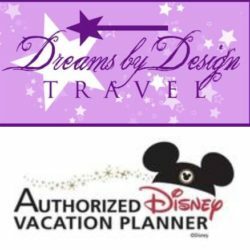 Mickey’s Star Traders – Apparel and accessories, camera and media necessities, food and spirits, gifts and housewares, Mickey ears, Pins & Vinylmation Toys & Plush. Tomorrowland Light & Power Co. – Apparel and accessories, food & spirits, MagicBands and accessories. 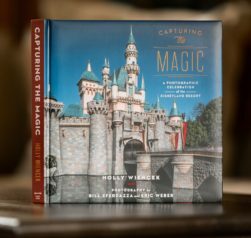 Ursa’s Major Minor Mart – Mickey ears, camera and media necessities.